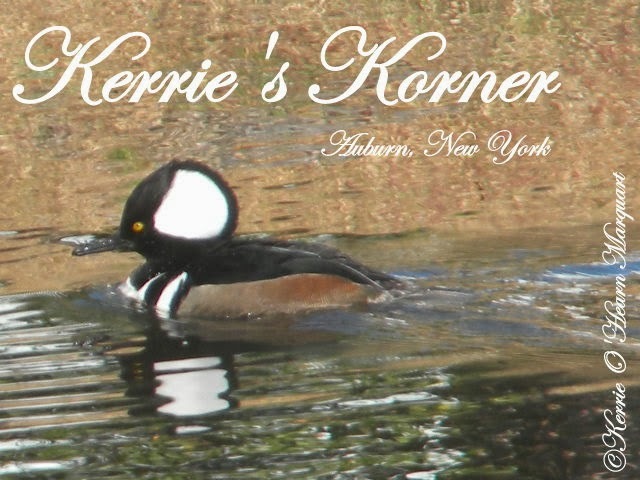 KERRIE'S KORNER NY: SNOW, SNOW AND MORE SNOW! Goodness, it took a long time to start but now the winter is in full swing and I am freezing-ha! We had a wonderful Fall though and I am not complaining. I really don't mind the snow, it is the low temps that bother my old bones. I am always thrilled when I can catch the birds in action! 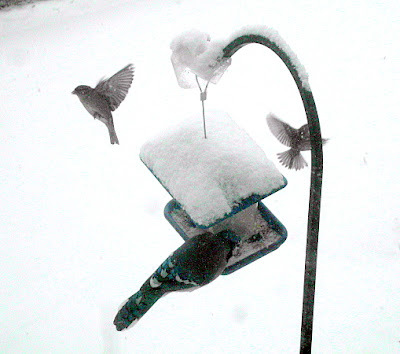 These sparrows were getting out of Mr. Bluejay's way so he could eat sunflower seeds. 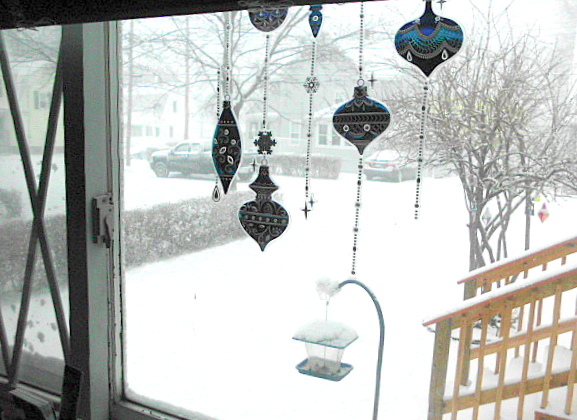 Remnants of my Christmas Deco on the window of the dining room and the snowy day beyond. 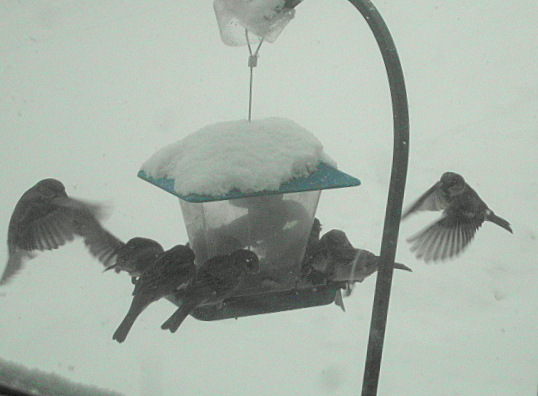 And another good snap of the sparrows coming in for a landing on the feeder. 9 in this photo and a dozen more in the bush waiting their turn. I love them all. I hope you are warm and cozy wherever you are. My little Lilly prefers to stay by her electric fireplace. 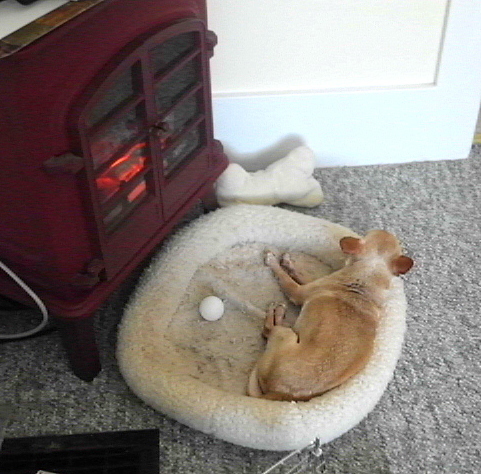 She loves the heat on her little self and will pretty much stay there all day between eating and going outside to potty. Thank you so much for visiting and if you have the time, please visit my other blogs listed in the sidebar. I think I would stay in front of the fire too. Happy new year, Kerrie.